Carey Mulligan is a British film, television, and theatre actress. Check out this biography to know about her birthday, childhood, family life, achievements and fun facts about her. Carey Hannah Mulligan is a British film, television, and theatre actress and singer. Active since 2004, she has been nominated for Academy, Golden Globe, and Tony Awards, and has won a BAFTA. Mulligan is a London native and spent the early years of her life in Germany before returning to England when she was eight years old. She developed an interest in acting after watching her brother in a school play. Subsequently, she became involved in school theatre and held the position of the head of the drama department. In 2005, she made her screen debut as Kitty Bennet in the romance drama ‘Pride & Prejudice’. That year, she was also cast in the BBC miniseries ‘Bleak House’. In 2008, she appeared in her first Broadway production, ‘The Seagull’. Her breakthrough role came about in the coming-of-age drama ‘An Education’. Mulligan has since appeared in ‘Never Let Me Go’, ‘Drive’, ‘Shame’, ‘The Great Gatsby’, ‘Inside Llewyn Davis’, ‘Far from the Madding Crowd’, ‘Suffragette’, and ‘Mudbound’. As a singer, she has contributed to the soundtracks of three of her films, ‘Shame, ‘Inside Llewyn Davis’, and ‘Far from the Madding Crowd’. Mulligan is involved with multiple charities, including War Child and Alzheimer’s Society. 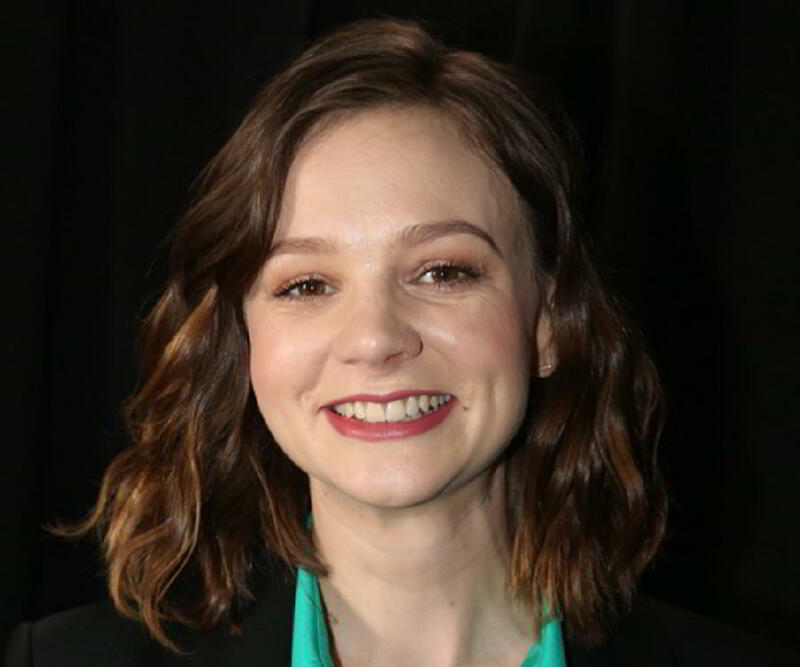 Born on May 28, 1985 in Westminster, London, Carey Mulligan is the youngest child and only daughter of Nano (née Booth) and Stephen Mulligan. She has an older brother named Owain Patrick Mulligan. Her father, a hotel manager with Irish ancestry, grew up in Liverpool, while her mother, a university lecturer, was raised in Llandeilo, Wales. The family relocated to Germany when Mulligan was three years old after her father landed a job as a manager at a hotel there. At the age of eight, Mulligan returned to England along with her family. She had been studying at International School of Düsseldorf while she was in Germany and later attended Woldingham School in Surrey. After she saw her brother perform in a school production of Richard Rodgers and Oscar Hammerstein II’s ‘The King and I’, she became interested in acting. She went to the teachers and begged them to let her join the production. They eventually allowed her to be part of the chorus. She soon became involved in the school’s theatre program and later became its head. They staged musicals, regular plays, and held workshops for young students. Her aspiration to become an actor was not supported by her parents who wanted her to pursue a regular university education. Undeterred, she applied to several film schools. However, she did not hear anything back from them. In her final year at Woldingham, she met actor and screenwriter Julian Fellowes, through whom she landed the role of Kitty Bennet in the 2005 film ‘Pride & Prejudice’. In 2004, Carey Mulligan appeared in the play ‘Forty Winks’ at the Royal Court Theatre in London. This was her first major production. A year later, her debut movie ‘Pride & Prejudice’ was released. Based on Jane Austen’s classic novel, the film also starred Keira Knightley, Rosamund Pike, Matthew Macfadyen, and Donald Sutherland. ‘Pride & Prejudice’ premiered at the Toronto International Film Festival on September 11, 2005, and went on become a critical and commercial success. Mulligan earned critical praise for her short and yet significant portrayal of the fourth Bennet sister. She made her small screen debut as Ade Clare in BBC’s fifteen-part miniseries ‘Bleak House’. From 2005 to 2006, she portrayed a character named Angelique in a production of the musical ‘The Hypochondriac’ at Almeida Theatre. She played one of the main roles in the British drama series ‘The Amazing Mrs Pritchard’. In 2007, she played the recurring character Sister Bridgid in BBC’s police procedural crime drama ‘Waking the Dead’ and appeared as Isabella Thorpe in the 2007 television adaptation of Austen’s ‘Northanger Abbey’. That year, she got the chance to make a guest appearance in an episode of the third series of ‘Doctor Who’. She worked with director Anand Tucker in his film ‘And When Did You Last See Your Father?’ and portrayed Nina Zarechnaya in a production of Anton Chekov’s ‘The Seagull’ in 2007. The year 2009 has been the busiest year in her career to date. 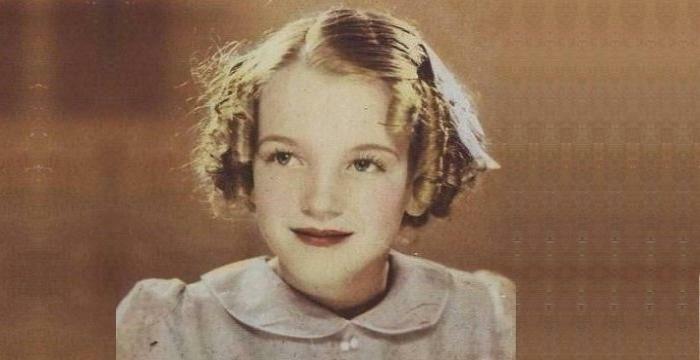 She starred in four films: romance drama ‘The Greatest’, psychological war thriller ‘Brothers’, biographical mob drama ‘Public Enemies’, and ‘An Education’. In 2010, she starred alongside Keira Knightley and Andrew Garfield in the dystopian romantic drama ‘Never Let Me Go’. That year, the acclaimed director Oliver Stone made ‘Wall Street: Money Never Sleeps’, the sequel to his 1987 classic ‘Wall Street’. Mulligan portrayed Winnie Gekko, the daughter of the greedy and ruthless corporate financier, Gordon Gekko (Michael Douglas). She appeared in two films and one theatre production in 2011. In the action drama ‘Drive’, she worked with Ryan Gosling and Bryan Cranston, while in ‘Shame,’ her co-stars were Michael Fassbender and James Badge Dale. In the Off-Broadway production ‘Through a Glass Darkly’, she portrayed Karin, a character that was portrayed by Harriet Andersson in Ingmar Bergman’s 1961 film of the same name. She was part of one of the biggest films of 2013, Baz Luhrmann’s adaptation of F. Scott Fitzgerald's 1925 novel ‘The Great Gatsby’. Mulligan portrayed Daisy Buchanan, Jay Gatsby’s (Leonardo DiCaprio) former lover and a passionate and calculating woman. She collaborated with the Coen brothers in their black comedy ‘Inside Llewyn Davis,’ the same year. Mulligan was cast as Kyra Hollis in the 2014 production of David Hare’s ‘Skylight’, which was staged at Wyndham's Theatre at West End, London. In 2015, the play came to Broadway at Golden Theatre. For her performance, Mulligan was nominated for the Tony Award for Best Lead Actress in a Play in 2015. In 2014, she lent her voice to Lady Anne York in two episodes of ‘The Spoils of Babylon. In the 2015 film adaptation of Thomas Hardy’s 1874 novel, ‘Far from the Madding Crowd’, Mulligan played Bathsheba Everdene opposite Matthias Schoenaerts’ Gabriel Oak, Michael Sheen’s William Boldwood, and Juno Temple’s Fanny Robin. The film garnered critical acclaim. Mulligan was praised for her performance in ‘Far from the Madding Crowd’. Some critics even hold the view that her portrayal was better than Julie Christie’s in the 1967 adaptation. In 2017, she appeared in ‘Mudbound’, a period drama inspired by Hilary Jordon’s novel of the same name. 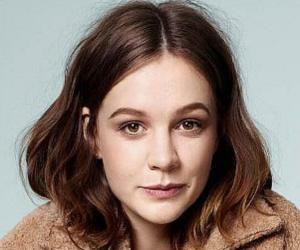 She also acted in the independent film ‘Wildlife’ (2018), which was adapted from a Richard Ford novel of the same name. In 2010, Mulligan was featured in indie-pop group Belle and Sebastian’s album ‘Belle and Sebastian Write About Love’, performing the title track. She also sang ‘Theme from New York, New York’ for the soundtrack of ‘Shame’ (2011), ‘Five Hundred Miles’ with Justin Timberlake and Stark Sands for the soundtrack of ‘Inside Llewyn Davis’ (2013), and 'Let No Man Steal Your Thyme' with Michael Sheen for the soundtrack of ‘Far from the Madding Crowd’ (2015). Carey Mulligan appeared in the 2009 film ‘An Education.’ Based on the memoir by British journalist Lynn Barber, the movie tells the story of a young schoolgirl named Jenny (Mulligan), who is seduced by a charming con man (Peter Sarsgaard). The film was a critical and commercial hit. Made on a $7.5 million budget, it earned $26.1 million at the box office. It also garnered three Oscar nominations, including the one for Best Actress for Mulligan. She won the BAFTA for Best Actress in a Leading Role in 2009 for her performance. The film also earned her a Golden Globe nomination. Carey Mulligan has previously dated actors Shia LaBeouf, Tom Sturridge, and Eddie Redmayne. On April 21, 2012, she married ‘Mumford & Sons’ lead singer Marcus Mumford. They have two children together, daughter Evelyn Grace (born September 15, 2015) and son Wilfred (born August 2017). Since 2012, Mulligan has been an ambassador for the Alzheimer's Society. She assumed the same role for the charity ‘War Child’ in 2014.